was conceived in 2010 and is a collaboration between Nathan Roberts, and Duncan Arnot Meyers of Arnot-Roberts and Rajat Parr of Michael Mina and Sandhi Wines. 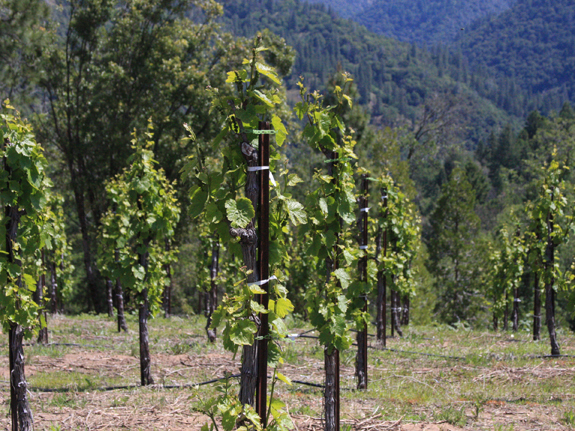 The goal of rpm is to produce world class Gamay Noir from the granitic soils of california’s sierra foothills. With the help of Steve Edmunds RPM has been able to secure fruit from the two plantings of gamay noir that exist in California, both farmed by	Ron Mansfield. The first release is the 2011 vintage. NATHAN ROBERTS, JEAN FOILLARD, DUNCAN MEYERS, RAJAT PARR ON THE COTE DU PY, MORGON. 2013 RPM Wines All rights reserved. Site designed by Vanessa. RPM bottle photographed by Karl. Powered by VineSpring. RPM GAMAY IS SOURCED FROM TWO VINEYARDS IN EL DORADO COUNTY: BARSOTTI AND WITTERS. 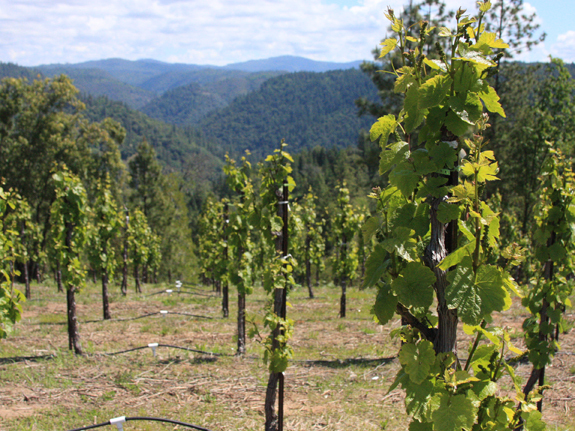 The vines at Barsotti are planted in granitic soil at 2,600’ at the edge of the American River Canyon about four miles North of Placerville. Witter’s vineyard was planted in 2000 in soil composed of decomposing granite and volcanic clay-loam at 3,400’ above the small town of Camino. Both sites are cooled by their elevation and proximity to the American River that drains the western flank of the Sierra Nevada Mountains to the east. The soils in this region are very similar to the those found in the Beaujolais region of France where Gamay Noir thrives. Yields are held to moderate levels to allow full development of the grapes in these difficult growing conditions. The resulting fruit has a vibrant personality with soaring aromatics, ample natural acidity, deep color and wonderful structure. ONCE HARVESTED WE EMPLOY THE USE OF WHOLE-CLUSTER FERMENTATION AND MANUALLY CRUSH BY FOOT. Primary and secondary fermentations are carried out utilizing native yeasts with no inoculations. A portion of the wine undergoes a carbonic maceration that deprives the grapes of oxygen and favors enzymatic fermentation of the sugars before finishing traditionally with native yeasts. Upon completion of primary fermentation the wine is basket pressed to neutral puncheons for one year of ageing. The final wine is bottled unfined and unfiltered. RPM began as an exploration of the Gamay Noir grape in California’s Sierra Foothills and we have learned much about the relationship between this variety and its sites in an area that was previously unknown to us. 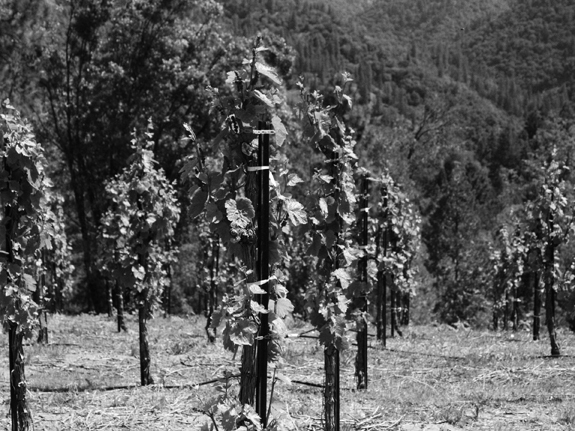 We feel that we are just beginning tapping the potential for quality there, and look forward to raising the bar every year with the help of Ron and Chuck Mansfield who care for these unique vineyards. 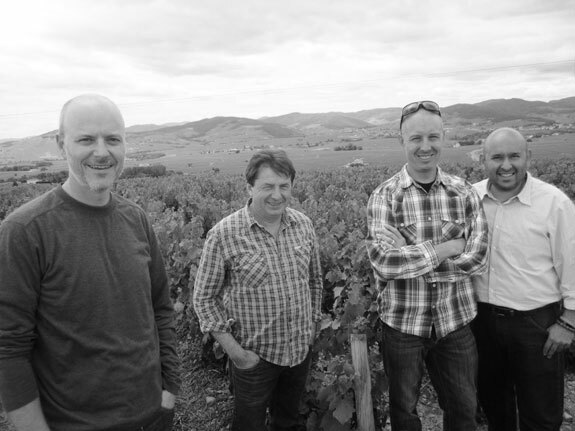 It is with mixed emotions that we inform you that 2015 is the final vintage of RPM under its current incarnation. It has been a great feeling to collaborate on this project and we will miss the extra sense of comradery, but we are very excited to continue to produce and share the wines from these special sites. 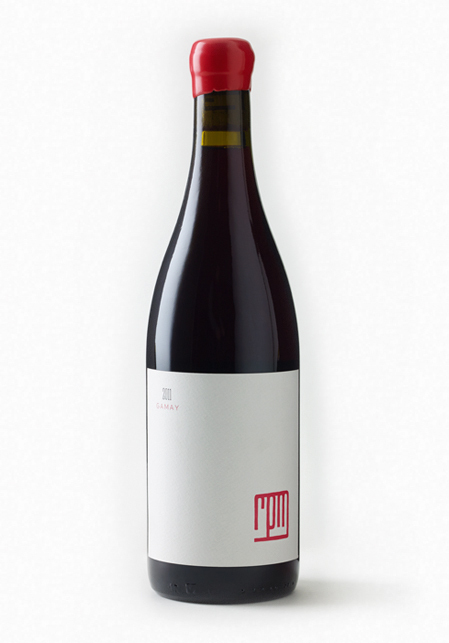 Beginning with the 2016 vintage you will see a Gamay Noir sourced from the Witters and Barsotti vineyards from both Arnot-Roberts (arnotroberts.com) and from Domaine de la Cote ( domainedelacote.com). Raj is also making great Gamay under the Salem Wine Co label from the old vines at Seven Springs in Oregon. We are doing the same thing in our own places, it’s the same story with different voices.